Please take a look at some sample of commissioned pieces I have done. Drop me a line if you are interested in this service - prices vary depending on size and complexity. This image captures a 4 year old boy, but also the ocean, and softness of the summer days that characterized this families vacations. This is a favorite view of my client's. 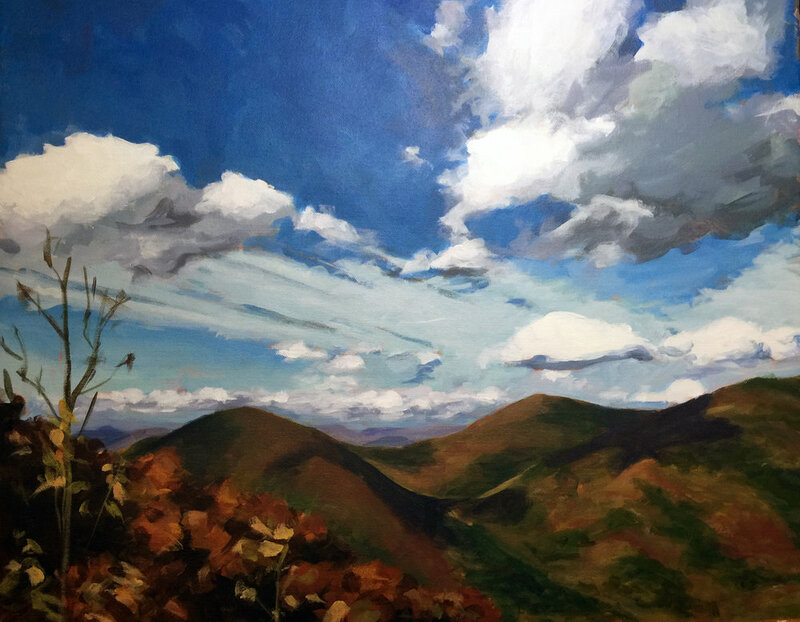 He finds it soothing and inspriational to have on his wall - he may not be able to get out and hike every day, but this painting can bring him there in spirit. My husband doesn't harpoon often, so this image is special in that it captures an aspect of his fishing that is rare and unique. We enhanced the sunset to make the painting more dramatic. This is my client's first child, toddling along Lighthouse Beach in Gloucester, MA. Moody shots like this are fun, because they are portraits, but less about exact likeness andmore about a place and a time. Yes I do boat portraits - the more action going on the better! Sometimes those quick photos on the back of the boat are the best - so much more unique than a basic portrait!